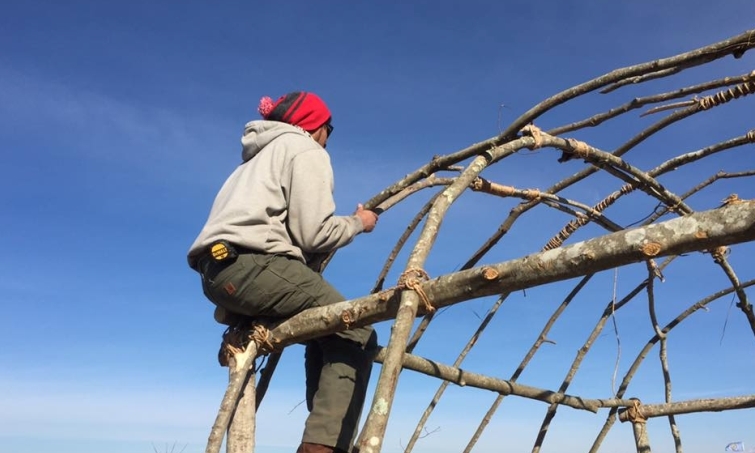 Christian Hopkins, 26, of Ashaway, and his cousins Macheece Spears Jr., 26, and Ridge Spears, 20, both of Charlestown, departed from Rhode Island on Nov. 13, towing saplings and other traditional materials to build a longhouse, or “we-tu,” for the children of the Water Protectors. 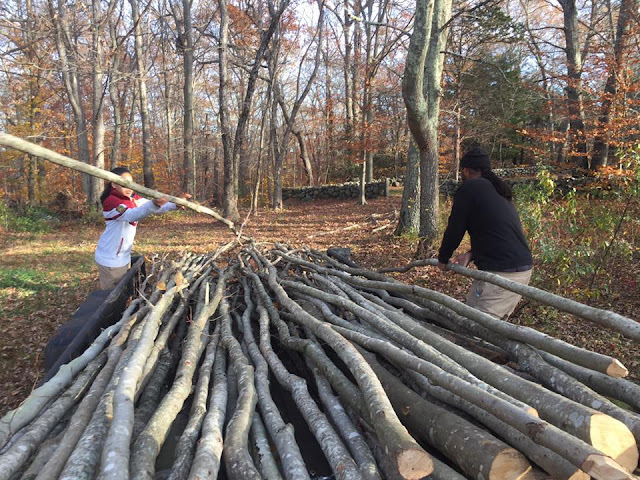 The three local men’s plan was to construct the school shelter and return on Tuesday or today. With the controversy of building the pipeline, few people think about the protesters’ children, who are away from home but need to attend school. But Hopkins identified the problem when he visited the reservation in September. Cassius Spears, who is Macheece and Ridge Spears’ uncle and a cousin of Hopkins, taught the three young men how to build a we-tu using traditional techniques. 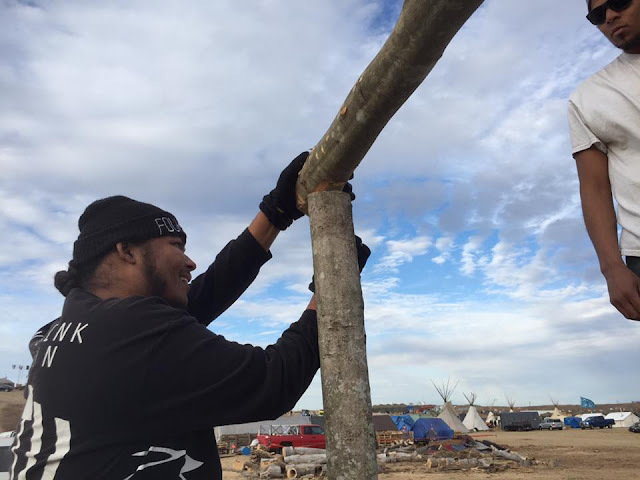 “We harvest the saplings and we take the bark off and we pull long strips off from the base to the tip, and we roll them into a bundle, and in the process it eliminates the sap and they’ll be used for lashing the poles together,” said Cassius Spears. “When we set them into the ground and bend them over, the process is kind of like making an upside-down basket, and then we cover that with bark or cattail mats. Hopkins and the Spears could not be reached early this week to confirm that they have finished building the we-tu. Responses to "Tribal members building a school for the children at the water protector camp"
Bless you and the schooling of the Native youngsters. I am a retired elementary teacher living in California about 30 miles south of San Francisco. I have been following your struggle to keep your land sacred and your water safe. I pray to the God of our entire human family everyday. My prayer is that you are successful and that you are safe while bringing about justice!